Welcome to the MUHealthyEats homepage! 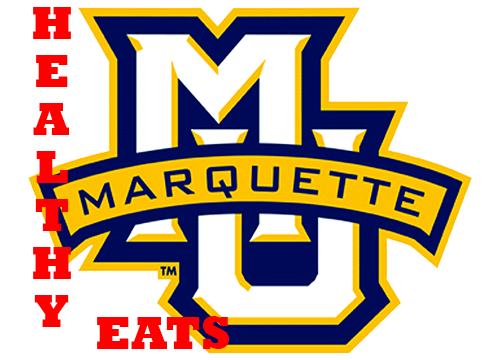 The MUHealthyEats program pulls the daily menu information from the Marquette Dining Services website. The program is available for Android phones and for personal computers. Please note that an Internet connection is required to run the program. Also, this application depends on the dining services website; if there is no menu posted, it will not display a menu. There may be no menu data posted during the summer months. Click here for the latest version of the Android app. You will need an Android phone and an apk installer to use the app on your phone. Click here for the latest version of the Desktop Application. It may be run on any computer. Click here for the User's Manual.